London swelters in June 1858, and trouble is brewing. Scotland Yard calls on forensic scientist Adolphus Hatton and his trusty assistant, Albert Roumande to help stop a series of seemingly unconnected murders, linked by the same macabre calling card. The investigators, who have a morgue full of cholera victims must also unravel a bombing campaign led by agitator and priest Father O’Brian. Hatton’s skills are tested to the limit on this nail-biting race against time. 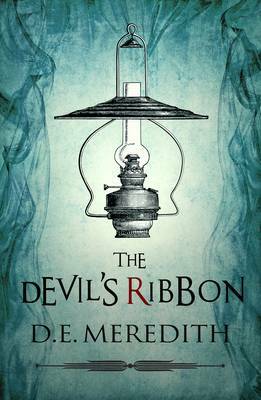 The Devil’s Ribbon is by D E Meredith and is due to be published in February 2013. Peril on the Royal Train is by Edward Marston and is due to be published in April 2013. 1858. The driver and fireman of a goods train are speeding along near the Scottish border. As they take a sharp bend, they can see that the track ahead has been ripped up. With no time to break, there’s no way to avert disaster – the engine veers off the rails and plunges into the lake below, taking the wagons and men with it. Summoned north by the Caledonian Railway Company, Inspector Colbeck and Sergeant Leeming learn that the sabotage might be the work of a rival company. But as they proceed, a larger conspiracy seems to be afoot. The target: the Queen and Prince Consort en route to Balmoral. Fatal Inheritance is by Catherine Shaw and is due to be published in January 2013. On New Year’s Day, 1900, the brilliant violinist Sebastian Cavendish is found dead, leaving his friends and relations grief stricken and perplexed as to the reasons behind his suicide. Vanessa Weatherburn is engaged to investigate the dead man’s final movements. It is a journey which will reveal to her the science of genetics, the history of Sebastian’s equally brilliant grandfather and the long-kept secrets of the Cavendish family. She must cross continents and trace every lead if she is to uncover the mystery of Sebastian’s inheritance, and why it meant his death. When Thea Osborne agrees at the last minute to house-sit for Oliver Meadows as a favour to her mother, she expects a few days of peace with her spaniel, Hepzie. Uncomfortable with the news of her mother’s sudden involvement with an old flame, and Thea herself unsure of how to deal with her feelings for Drew Slocombe, she hopes that some time alone in the historic town of Winchcombe will help to clear her head. But, the discovery of a dead body throws her plans into disarray and Thea must work quickly to unravel the secrets which are being kept and discover exactly what lies beneath the surface of a turbulent relationship. Shadows in the Cotswolds is by Rebecca Tope and is due to be published in March 2013. Dead Heading is by Catherine Aird and is due to be published in April 2013. Detectives Sloan and Crosby are at a loss as to why Jack Haines’s greenhouse has been broken into; some expensive orchids have been destroyed but nothing seems to be missing. But something sinister is at work, and their suspicions are confirmed when a woman goes missing... What initially seems to be hardly a crime at all quickly unravels into a complex puzzle of secrets and lies in this latest edition of the lauded Sloan and Crosby series. The crusading armies go from besieging the citadel of Antioch, to themselves being besieged. Bohemund, takes a firm grip on the city, despite the depleted crusading army, thinned by death, disease and defection. Meanwhile, Tancred seeks his fortune in Jerusalem. No longer is the Holy City in the hands of the Arabs, but held by the mighty Fatamids of Egypt. Tancred is a leader when it comes to entering the city, but it remains to be seen if he will rise to become a Prince of Legend. Prince of Legend: Crusades Book 3 is by Jack Ludlow and is due to be published in June 2013. 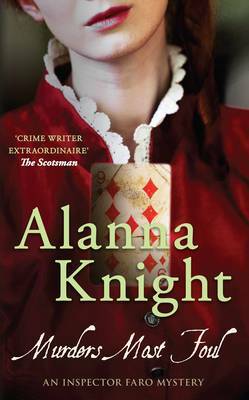 The body of an unknown woman is found in an Edinburgh close and the police are quick to label it as a random act of violence, until that is Detective Constable Faro finds a playing card, the nine of diamonds, planted on the corpse. His superiors scoff at his suspicions, but days later a man is attacked in the street, and left badly bruised and battered with the nine of diamonds in his pocket. Faro seizes on the connection and it is not the last calling card. But what is it that links the victims? Beset by hostile superiors and a police hating public, Faro feels he may never crack this confounding case. Murders Most Foul is by Alanna Knight and is due to be published in January 2013.